The landscape of office and work spaces is an ever-changing dynamic. A cluttered, boring workplace is not a conducive atmosphere for productivity, while on the other hand, a wide open and stylish workspace can improve the efficiency of an employee, and encourage innovation and collaborations. Such an arrangement can also help save money by reducing the requirement for space, as well as the energy consumed. The more modern and comfortable the type of furniture, the better the worker’s ability to contend with issues and ensure parallel thinking and ideas that are out of the box. Below, glance through some of the most popular layouts of office environments that are an ideal mix of classic and modern workplaces. 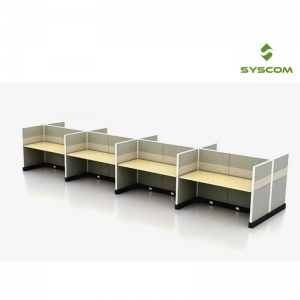 Linear workplaces: These are distributed carefully across a larger workspace, and are in neat order, which can help the work environment seem more open, promoting staff collaboration and conversation. There is a minimum of visual clutter. By improving the ability of people to interact and work together, teamwork is fostered and there is a drastic increase in the measure of trust between employees. They can help workers feel like they belong, and make them feel like an integral member of the working community. Provision of tile dividers / glass dividers with partitions containing fabric soft board and white marker board are preferred by employees. 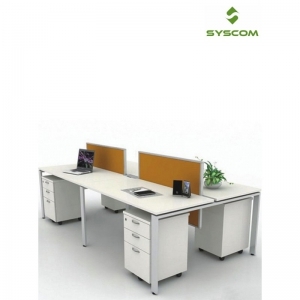 Syscom provides linear workstations customized to suit your office space. Sit and Stand desks: Observing that majority of workers spend time at their desks and find sitting uncomfortable for long hours, sit and stand desks have become an increasingly chosen option among the working community, simply because of how ergonomic they are. 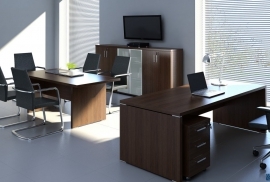 They also reduce the space that is used, and they aid productiveness and mobility in the office space. They have become more popular today with most co-working spaces and home offices preferring to go with this option. 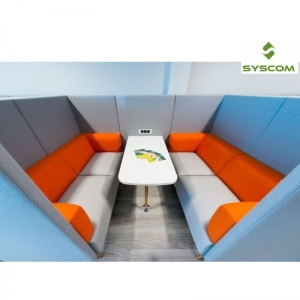 Pod workspaces: These improve the employee’s privacy, and provide more space if there is a need for it. Thanks to sharing spaces, they openly help foster collaborations between workers, and improve morale and the productiveness of the employee. 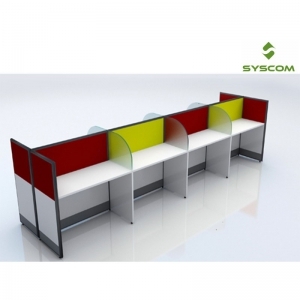 Collaborative workspaces by Syscom ensure interaction between employees brings out the best from everyone involved. 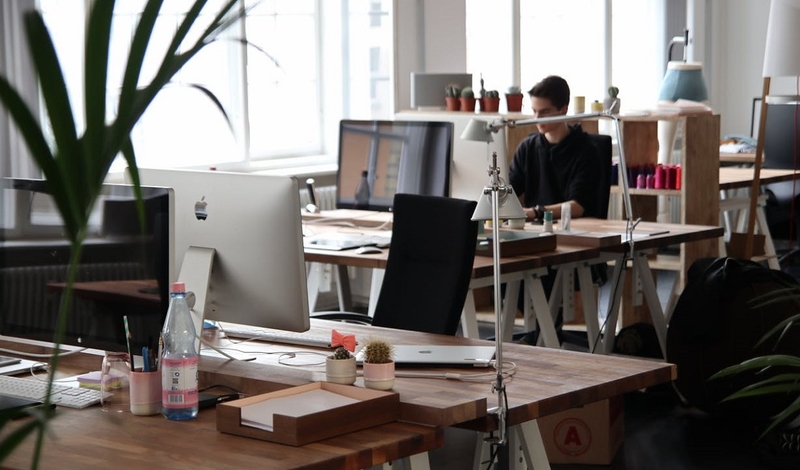 Shared workspaces: They manage to drastically decrease clutter, and look exceedingly professional while you are at it. Such an arrangement also stimulates conversation and trust between employees and provide your brand with a touch of class. 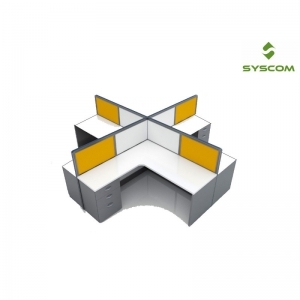 At Syscom Seatings, a wide range of customized designer workstations, modular partitions and ergonomic desks are available with wire management, paper holders, bottle holders and USB charging points. They are made to order depending on your needs and you can even get your products customized with respect to colour, configuration, design and size. Take a look through our website or visit our furniture store in Bangalore and redesign your workplace!